It's guide of how to copy Disney DVD on macOS Sierra, High Sierra and more) for better storage and playback of Disney DVD cartoons/movies. Disney, one of the most famous film studios, achieves a lot at animated movies and live action movies. Especially, Frozen which was released at the end of 2013 received a great success. It is no doubt that you will collect many wonderful Disney DVDs if you are a Disney movie addict. This article focuses on introducing how to copy Disney DVD on Mac OS X (10.14 Mojave, 10.13 macOS High Sierra, 10.12 macOS Sierra, 10.11 El Capitan and more) with a Disney DVD backup software for better protecting precious DVDs and playing Disney DVD movies for kids/families with no loss of DVD drive on Mac. How to Copy Disney DVD on Mac/PC? Rip and copy any copy-protected Disney DVD cartoons/movies on Mac/Windows PC with high auido/video quality. It seems that most people want to watch movies free rather than go to cinema. So, they seek for full Disney movie online or movie torrents for downloading patiently. But, you should know the following probable disadvantages along with films online and downloaded from torrents. * It is just a trailer video, not full Disney movie. * It is too blurred to watch. * The virus, Trojan or some malware will be brought to your computer when watching Disney film online or downloading torrents. * Disney movies are copyrighted so that you may involve in an infringement issue. From the above, it is legal and safer to copy a purchased or borrowed Disney DVD on Mac/PC for watching Disney movies if missing its release in theater. To copy Disney DVD on Mac is very useful for protecting the fragile discs from being scratched and broken adn having a long storage. What's more, the copied movies can be converted to MP4, H264 for playback on iPhone, iPad, Android or other OS devices for your kids to enjoy Disney animation movies/cartoons during journey. Because of strict encryptions, nearly all open source DVD rippers, for example Handbrake, are unable to clone Disney DVD on Mac. Even though some rippers can backup Disney DVDs, the video is out of order. 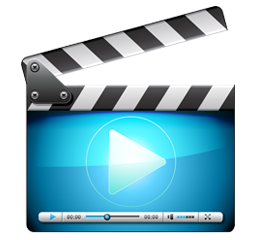 WinX DVD ripper for Mac, the best Disney DVD ripper for Mac can copy Disney DVD on new macOS (High) Sierra, 10.11 El Capitan etc, to ISO image at 1:1 ratio with no effort at all. Also, it can backup main title to a single MPEG2 file and full title to MKV with lossless quality to play Disney cartoons like Big Hero 6 and other Disney movies, like Inside Out, Maleficent, Into The Woods, Alexander and the Terrible, Horrible, No Good, Very Bad Day on Mac smoothly. WinX DVD Ripper for Mac - Decrypt and copy/convert any protected Disney DVDs to iPhone 8/7/6s, iPad Air 2/mini 3, Samsung Note/S, Google Nexus, PS3/4, Xbox etc, in a fast and simple way. Open DVD Ripper for Mac. Click DVD icon and your Disney DVD in DVD-ROM will be detected. Click OK to load DVD. The Output Profile window pops up the moment DVD is loaded and the main title will be checked automatically. Hit DVD Backup in the right profile column to get four backup modes. 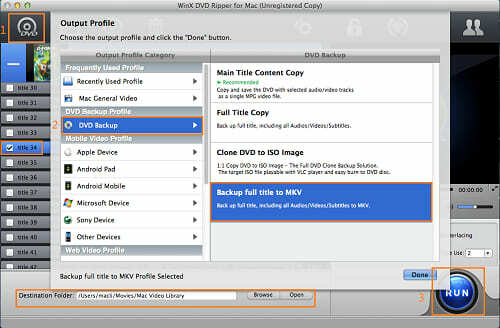 Select one (Backup full title to MKV in this example) and hit Done. 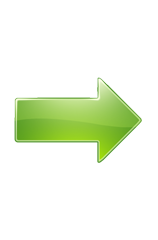 Click Browse to save copied DVD to destination folder and hit RUN to start Disney DVD copy. WinX DVD Ripper for Mac - A professional DVD ripper to copy and rip Disney DVDs to AVI, WMV, MP4, H264, iPhone 8/7/SE/6/6s (Plus), iPad Air 2/mini 4/Pro, Samsung Galaxy Note/S/A, Google Nexus, Xbox, PS3/4, Windows Phone 8 for watching Disney DVD movies on Mac/PC, iPhone/iPad/Android & other OS devices in a convenient and efficient way.